So I’m on a new kick these days…Orange. I’ve always been a fan of Grand Marnier not only as a delicious apperteif, but also for use in reductions and sauce applications. Citrus is quite versatile for both savory and sweet recipes and I have recently turned my attention to orange. So just last weekend, I inherited a half bushel of Florida oranges and decided to utilize them to the best of my ability. 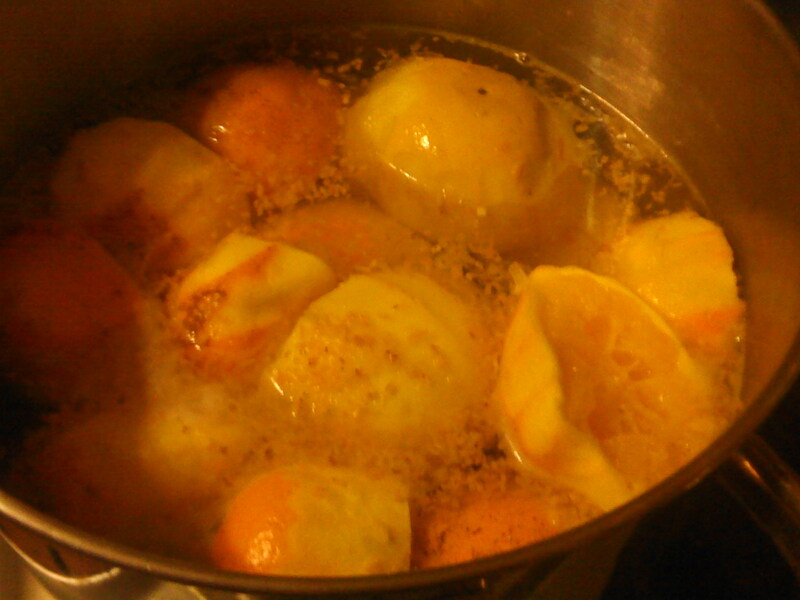 Thinking of the sauces, essence, and by products of the orange, I set out to break down the entire half bushel ( that’s about forty oranges…) three different ways: zest, juice, and syrup. 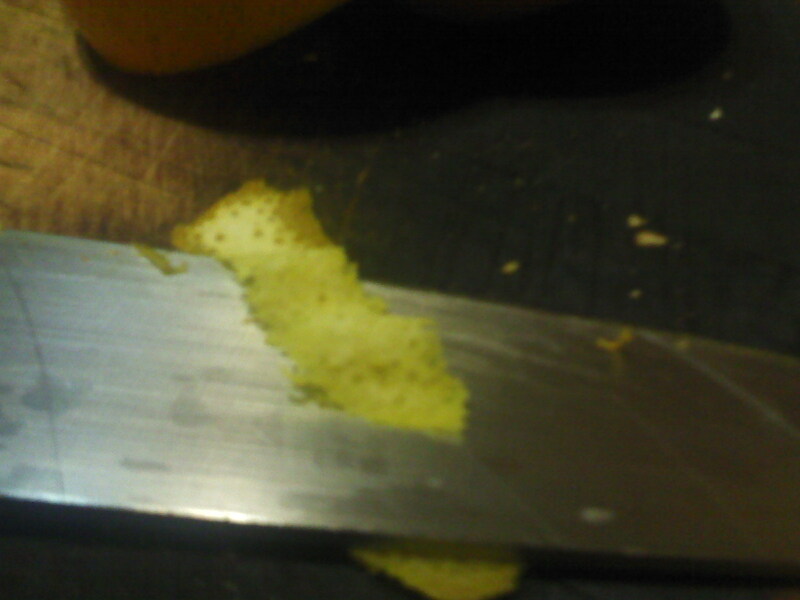 First for the zest, I used a standard gate vegetable peeler and shaved just the very thin outer layer avoiding the white inner layer called pith. 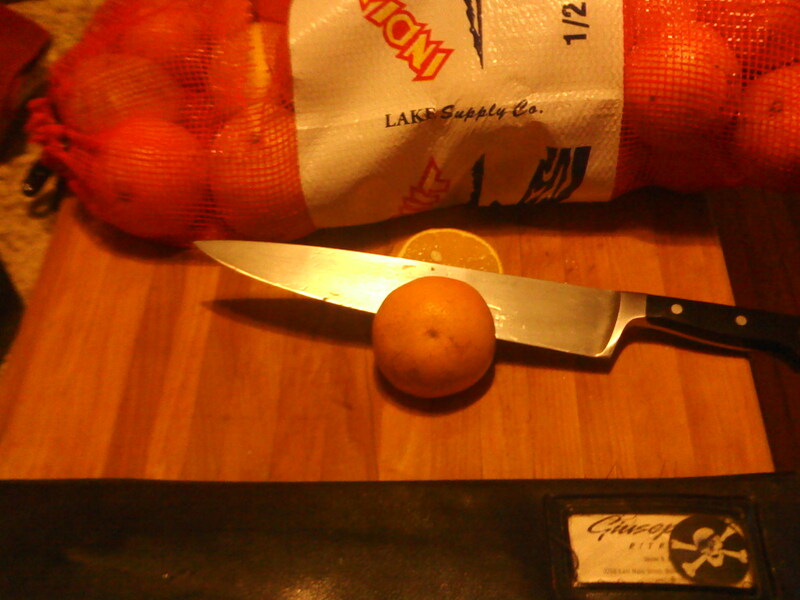 Any shavings that had pith, I then with my razor-sharp 10″ chef knife, filleted each piece as was necessary. Next, I proceeded to cut each orange in half and then squeeze by hand and strain through a chinois which is a very fine metal mesh strainer…one of my most prized kitchen utensils. 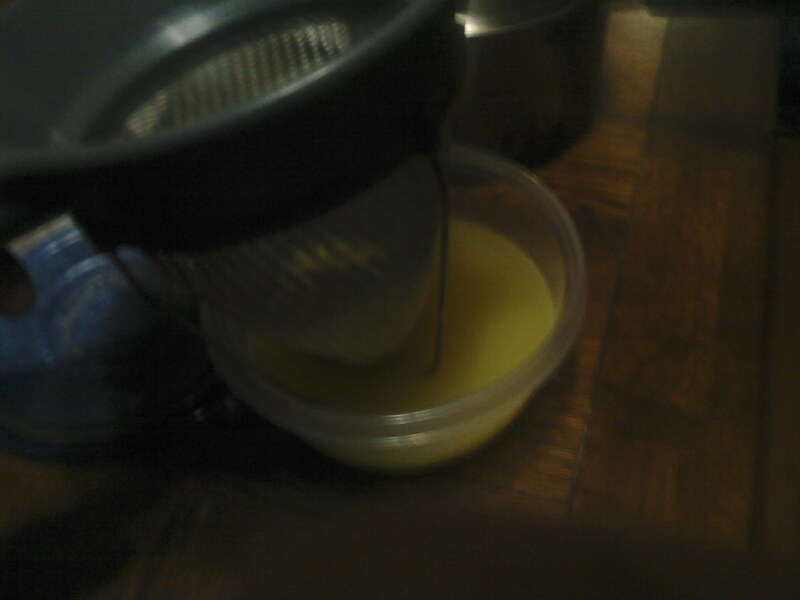 The squeezed rinds then went into a stock pot with one pound of sugar and two gallons of water to reduce by half or until reaching the consistency of honey. The juice, well, I think I may just enjoy that straight up! Fresh squeezed OJ…how delicious is that! However, I may reserve some of the juice for a nice reduction for chicken or the center cut pork loin I will be fabricating later this week. By the way, ten oranges, hand squeezed, yielded about one quart so from the bushel, I ended up with just under a gallon of fresh OJ and my forearms got a great workout! 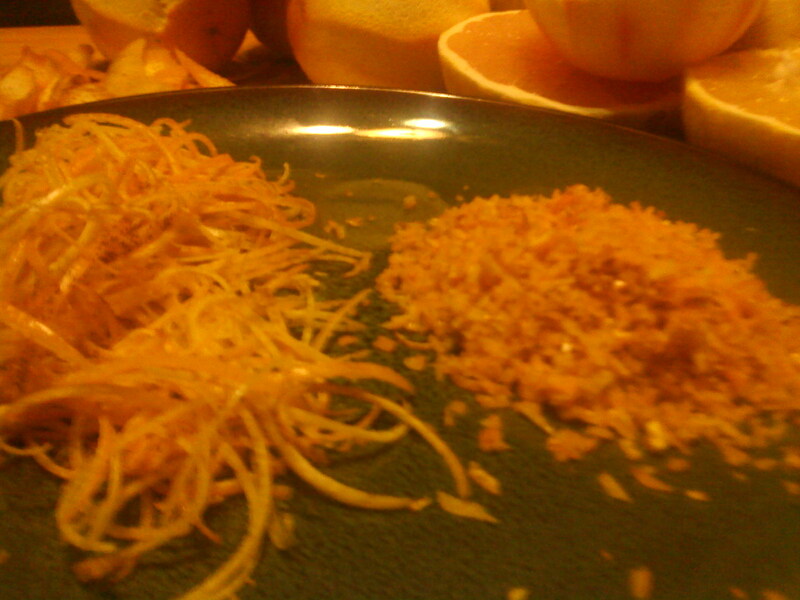 The zest will be preserved in sugar and water and used in later applications. And the syrup currently simmering on the stove as I am writing this, I will save also for future projects like an orange sorbet or a glaze for a poultry dish of if I can get my hands on some nice fish or scallops. Of course, I suppose I could have just eaten an orange a day for the next forty days, but I personally enjoy the natural flavor of this ingredient and I’m looking forward to releasing the potential of my efforts this evening in upcoming culinary projects. Sounds great! Every year my aunt in Florida kindly sends up a bushel of oranges & grapefruits and we get to enjoy the sweetness for a good while. Maybe I’ll try some of your ideas next year.